Carlyle Wolfe’s paintings & works on paper are about an awareness of the natural world—becoming progressively, cyclically more present to its rhythms, gaining deeper understanding of its design, & acquiring direct experiential knowledge of its mysterious beauty. 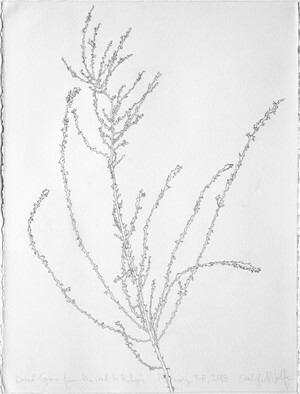 For the last 15 years, Wolfe has been making contour line drawings of plants form observation. 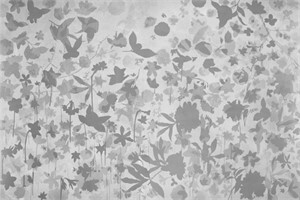 From her drawings, she isolates silhouettes into paper stencils which she uses to create oil paintings & works on paper – or cut out of metal to make sculptures. 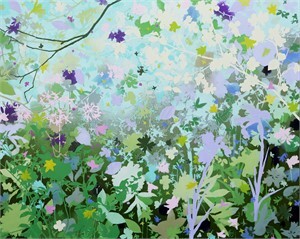 Her work is cumulative in nature – gradually marking time & seasonal change, unity & variety, individual & collective beauty. Wolfe grew up in Canton, Mississippi, & earned a BFA in painting from the University of Mississippi & an MFA in painting & drawing from Louisiana State University. She has also studied in Cortona, Italy, & at the University of Georgia. 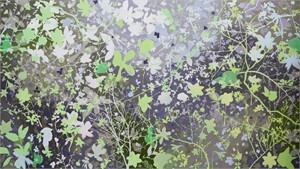 Wolfe has exhibited work throughout the South, including the Dixon Gallery & Gardens, David Lusk Gallery in Memphis & in Nashville, the Mary C. O’Keefe Cultural Center, the University of Charleston, the Shaw Center for the Arts, the Mississippi Museum of Art, the Lauren Rogers Museum of Art, the University of Mississippi Museum, & Arkansas Arts Center. Her work was recently selected for the Art in Embassies Program at the US Embassy in Maputo, Mozambique. Wolfe is the recipient of three Mississippi Arts Commission Visual Arts Fellowships (2005, 2010, 2015) & two Mississippi Institute of Arts & Letters Visual Arts Awards (2008, 2017). She lives in Oxford, works in her studio beside her home, & until recently taught part time at the University of Mississippi. Carlyle Wolfe’s paintings & works on paper are about an awareness of the natural world—becoming progressively, cyclically more present to its rhythms, gaining deeper understanding of its design, & acquiring direct experiential knowledge of its mysterious beauty. 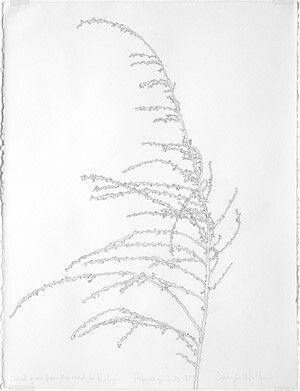 For the last 15 years, Wolfe has been making contour line drawings of plants form observation. From her drawings, she isolates silhouettes into paper stencils which she uses to create oil paintings & works on paper – or cut out of metal to make sculptures. 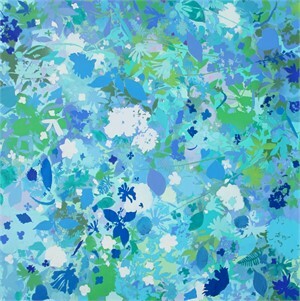 Her work is cumulative in nature – gradually marking time & seasonal change, unity & variety, individual & collective beauty. Wolfe grew up in Canton, Mississippi, & earned a BFA in painting from the University of Mississippi & an MFA in painting & drawing from Louisiana State University. She has also studied in Cortona, Italy, & at the University of Georgia. Wolfe has exhibited work throughout the South, including the Dixon Gallery & Gardens, David Lusk Gallery in Memphis & in Nashville, the Mary C. O’Keefe Cultural Center, the University of Charleston, the Shaw Center for the Arts, the Mississippi Museum of Art, the Lauren Rogers Museum of Art, the University of Mississippi Museum, & Arkansas Arts Center. 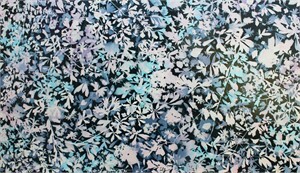 Her work was recently selected for the Art in Embassies Program at the US Embassy in Maputo, Mozambique. Wolfe is the recipient of three Mississippi Arts Commission Visual Arts Fellowships (2005, 2010, 2015) & two Mississippi Institute of Arts & Letters Visual Arts Awards (2008, 2017). She lives in Oxford, works in her studio beside her home, & until recently taught part time at the University of Mississippi.